Pearce got back to full fitness in 2015 and played well all season. His attack on the ball remains as courageous as ever. Injuries saw Pearce play only nine games in 2014 after he appeared in 43 games in Ross Lyon’s first two seasons at the club. He will work hard to get back to full fitness for 2015. Pearce was an important piece in Fremantle's midfield and defence throughout 2013, but an Achilles injury in the last round cruelly ended his season. Will be a major player again in 2014. Clancee Pearce was one of the success stories of 2012. 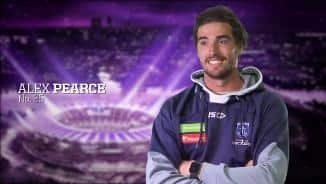 After being delisted at the end of 2011, he was given a second chance by Ross Lyon and, with a change in attitude that saw him build his fitness base, Pearce cemented himself as a valued contributor to the team. He averaged almost 20 possessions per game, a significant rise from the 12 touches he had averaged in his three previous seasons. Some of his best performances came in big games, including the round 4 Friday night clash with St Kilda at Etihad Stadium in which he had 25 disposals, and the round 22 victory over North Melbourne where he collected 28 touches. 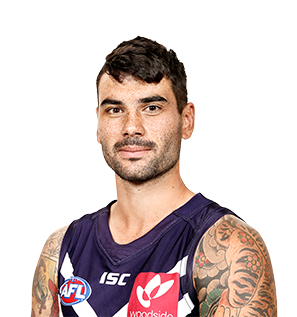 Highlighting his excellent season, Pearce ranked third at Fremantle for total disposals with 469, behind only ball-magnets Michael Barlow (585) and David Mundy (487). He was also top five at the club in handballs (2nd with 222), marks (120), contested possessions (180), uncontested possessions (290), hard-ball gets (74), clearances (59), tackles (3rd with 103), goals (16) and pressure acts (414). Pearce has been given opportunities to cement a spot in Fremantle’s line up, but he is yet to fully grasp it. He played 12 games this season, maintaining his career average of 12 disposals per game. Pearce, who possesses a strong work rate and a lovely kick, has shown glimpses of what he is capable of but he will need to do it on a consistent basis in 2012. Pearce played mainly as a defender in his six games in 2010 and did some good things. 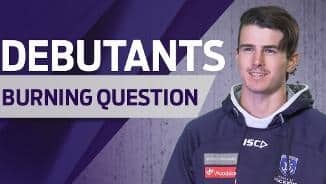 He will need to develop further in 2011 to take the next step and become a regular in the Fremantle team.